Your doctor may monitor you for a while after the medication is stopped, especially if you have taken this drug for a long time or in high doses. (See also How to Use section. Who should not take Focalin? The dosage is based on your medical condition and response to treatment. Your doctor may direct you to gradually increase or decrease your dose. Also, if you have used it for a long time, do not suddenly stop using this drug without consulting your doctor. The total daily dose is usually 20 milligrams or less. Carefully follow your doctor's instructions. This medication may cause withdrawal reactions, especially if it has been used regularly for a long time or in high doses. In such cases, withdrawal symptoms (such as depression, suicidal thoughts, or other mental/mood changes) may occur if you suddenly stop using this medication. To prevent withdrawal reactions, your doctor may reduce your dose gradually. Consult your doctor or pharmacist for more details, and report any withdrawal reactions right away. What conditions does Focalin treat? Trouble sleeping, nervousness, nausea, stomach pain, headache, loss of appetite, weight loss, or dizziness may occur. If any of these effects persist or worsen, tell your doctor or pharmacist promptly. List Focalin side effects by likelihood and severity. Before using this medication, tell your doctor or pharmacist your medical history, especially of: high blood pressure, blood circulation problems (such as Raynaud's disease), glaucoma, heart problems (such as irregular heartbeat, heart failure, previous heart attack, problems with heart structure), family history of heart problems (such as sudden cardiac death, irregular heartbeat), mental/mood conditions (especially anxiety, tension, agitation), personal/family history of mental/mood disorders (such as bipolar disorder, depression, psychosis, suicidal thoughts), personal/family history of uncontrolled muscle movements (motor tics, Tourette's syndrome), overactive thyroid (hyperthyroidism), seizure disorder. What should I know regarding pregnancy, nursing and administering Focalin to children or the elderly? Does Focalin interact with other medications? If you miss a dose, take it as soon as you remember. If it is near bedtime or near the time of the next dose, skip the missed dose and resume your usual dosing schedule. Do not double the dose to catch up. 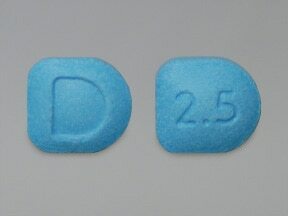 This medicine is a blue, D, tablet imprinted with "D" and "2.5". 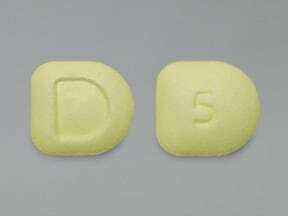 This medicine is a yellow, D, tablet imprinted with "D" and "5". 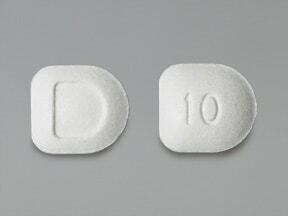 This medicine is a white, D, tablet imprinted with "D" and "10". Are you considering switching to Focalin? How long have you been taking Focalin?